Schrijver, A. (2015). 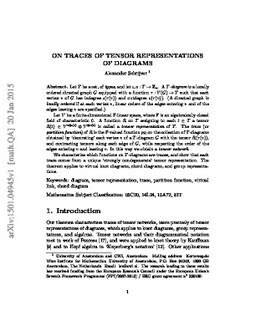 On traces of tensor representations of diagrams. Linear Algebra and its Applications, 476, 28–41.